Gaining an enviable reputation for his DJing at down-and-dirty gigs in the early ‘00s, Dublin based Sunil Sharpe is one of Europe’s most renowned and well-loved techno DJs and producers. 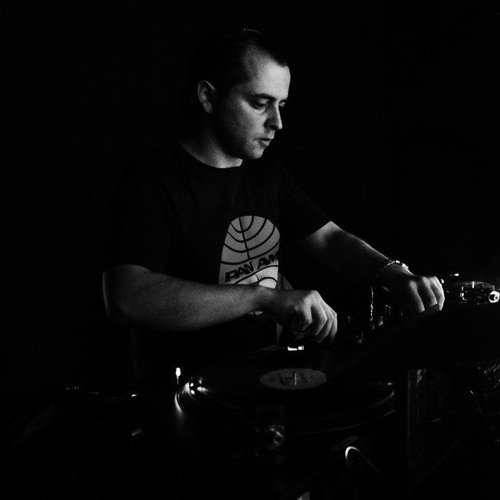 Known primarily for his fast-moving, exceptionally skilful style on the decks, his reputation as a producer of raw, individualistic techno has grown in tandem with his reputation as a DJ. He’s a true techno purist creating atmospheres full of intensity, dynamicity and brutal textures with a sense of funk and experimentation that’s rarely seen ………… with no thoughts of fashionability. His technical skills are exemplarily, ripping records off the turntables and cutting between tracks in a blur of motion, while his selections are as intense as they are varied. He incorporates this knowledge teaching students taking a one-year DJ technique course at Bray Institute Of Further Education, Dublin which he’s taught since 2005 helping a new generation of selectors to find their feet. Sunil enjoyed pop and classical music as a youngster, but he soon discovered rave music, started collecting tapes, got to know what DJs he liked and gravitated strongly towards techno. Feeling the rave spirit and getting fully immersed within the techno scene felt a very natural path for him to walk. He’s not only made a name for himself as an producer on this path, appearing on such impressive imprints as On The Hoof, Black Sun Records, Mord and RIOT Radio Records, but as a supportive documenter of the scene since 2007 via his show on Ireland’s RTE Radio, and on his video series called ‘Quarterly Crate’ where he talks off-the-cuff for an hour or more about his favourite new vinyl releases, his easy-going manner characteristic of someone who relishes sharing his eternal quest for vinyl gold. Sunil also makes up one half of Tinfoil alongside fellow Dublin based producer DeFakt. Initially forged as a studio partnership in 2014, the pair have since racked up an impressive catalogue of 12”s on their own self-titled label with a slew of releases laden with their restless style of production incorporating warped sound design and high-impact arrangements. Additionally, Sunil runs the Earwiggle imprint that has built a dedicated following, releasing new names and old heroes into the battlefield.